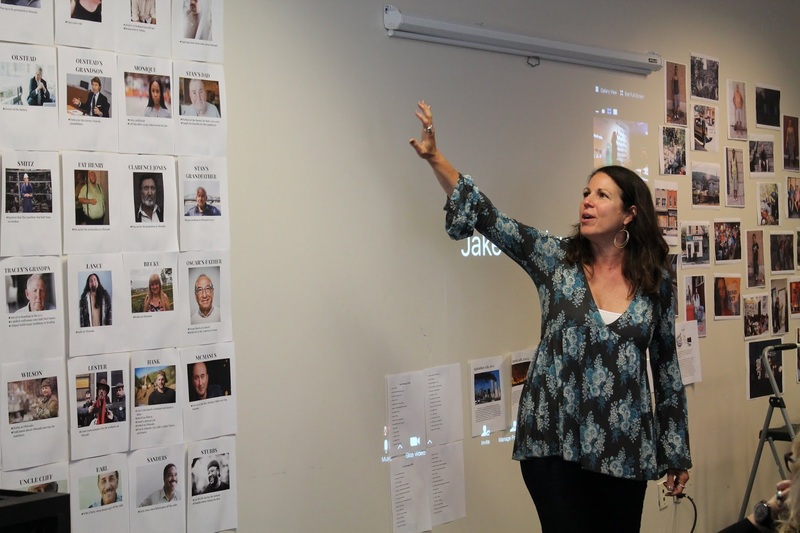 Director Loretta Greco explains the design team's vision at the Sweat Meet and Greet. When A.C.T.’s new artistic director Pam MacKinnon asked Loretta Greco—artistic director of the Magic Theatre—to direct playwright Lynn Nottage’s Sweat, Greco immediately said yes. She felt the power of the Pulitzer Prize–winning drama when it premiered at the Oregon Shakespeare Festival in 2015, and knew she wanted to explore it further. We sat down with Greco as design plans were being finalized to discover what it is about Nottage’s work and The Geary Theater that excites her. Sweat will be your fifth play for the Geary stage. What’s special about this space? The thing about The Geary is there are plays where you want to take advantage of the pomp and circumstance, and then there are plays where you need the immediacy. Sweat requires immediacy. The characters are a family, and that bar is like their living room. We want to extend that so the audience feels that they’re in that bar, too. Scenic designer Andrew Boyce and I also want to capture the beauty of Reading. Within The Geary—that depth of field—we can create the sense of context, of the city moving on through images and video projected on billboards above the bar. Those billboards are thrilling. That’s an opportunity you rarely get. Even some Broadway houses don’t have the depth or height that The Geary has. Why do you think that this play will resonate with a Bay Area audience? The Geary audience is always hungry for authentic stories about social conundrums. They are really gonna dig this play, and I hope it spurs incredibly deep, rich conversations. What do we do to regain the dignity of the working class when the one percent is so intent on making the gap wider and wider? How do we stop being OK with living in a country where so many people are living in poverty? How is that moral, and how are we responsible for one another as citizens, as human beings? What does Sweat tell us about America right now? Too many people are looking away right now. I hope the power and the humanity of the play will allow people to keep their eyes wide open just as Lynn has, in order to be altered in a way, to think about something anew, and to consider their place in what the future’s going to look like. Previews for Sweat begin tomorrow, so get your tickets today! And if you want to hear more from Loretta Greco, find the extended interview in Words on Plays, available for purchase now.